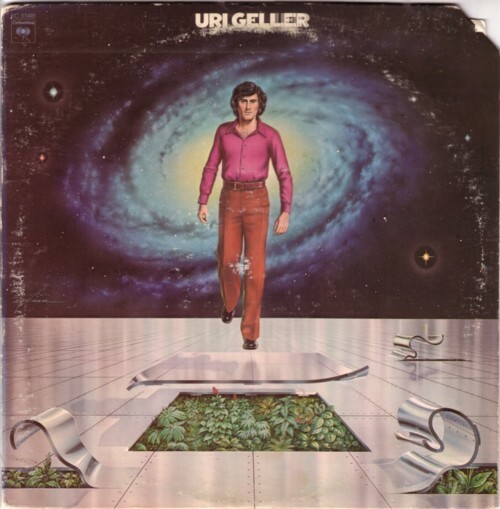 I remember very well when I first saw Uri Geller doing his tricks on television, probably in the late seventies. I had no doubt that he could really bend spoons with mind power and was puzzled why my mind had not such powers. Soon my interest in mind powers shifted to more serious and subtle matters, and later I lost all my interest in Uri Geller and his tricks. Even if he has some talent, he misuses it by telling so much lies and nonsense. Right now there is a series of television shows running on the Dutch television, starring Uri Geller as a jury for people who operate in the same territories as he. He calls himself a “mentalist” nowadays. I haven’t seen an episode and I have no plans to doso. I hope that some kids are inspired by all this to go on a search for the real treasure that lays hidden in the mind, and I hope that the world can soon do without Uri Gellers. The impact of Uri Geller on people my age was huge. You only have to see how many songs were recorded about him! Enough to fill a complete CD. There are even bands who named themselves Uri Geller or Spoonbender.